Mango is an internationally famous multinational retailer which designs, manufactures and markets women's and men's clothing and accessories. 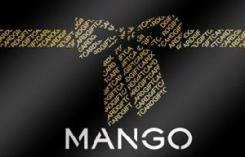 Mango was born from the relationship between a quality product of their own design and a unified and coherent brand image. Dressing the modern, urban woman for her daily needs is the formula we have analysed, adapted and applied in all countries in which MANGO is present. It was and still is one of the keys to our commercial success and our international prestige.